My husband has a "Seinfeld laugh". It's a distinct laugh that only comes out when he is watching his favorite syndicated show (on a nightly basis). It's safe to say he has seen every episode at least 25 times and he still get's that silly laugh every time he watches it. When I hear it, I never have to ask him what he is watching. Seinfeld was a hit while we were in High School and I actually walked out of a restaurant job when I was 18 because they scheduled me to work the night of the series finale (I had requested to be off prior to it starting). Yep....I quit a job to watch the end of Seinfeld. What does Seinfeld have to do with Seminole Hard Rock Tampa? Actor John O’Hurley AKA J. Peterman (Elaine's boss) is hosting one of my favorite dinners of the year - the annual Ye Mystic Krewe Gasparilla Charity Dinner at Council Oak Steaks and Seafood in Seminole Hard Rock Hotel and Casino Tampa on Wednesday, November 2. I attended the Ye Mystic Krewe Gasparilla dinner in 2015, which you can read about here. Oh - and I met John O'Hurley many moons ago. He was the MC at a work function for my former job. This photo has to be more than 10 years old which is crazy! The event will feature delectable creations from Seminole Hard Rock Tampa Chefs Bill Gideon, Dave Puatu, Michael Balles and Stephan Schubert. Seating will commence at 7:30 p.m. with a four-course dinner immediately following at 8 p.m. Once the menu has been announced, I will add it to this post but I can tell you, it will be delicious. Tickets are $250 per person and seats are limited. To purchase, please call EventFest at (813) 251-4330. 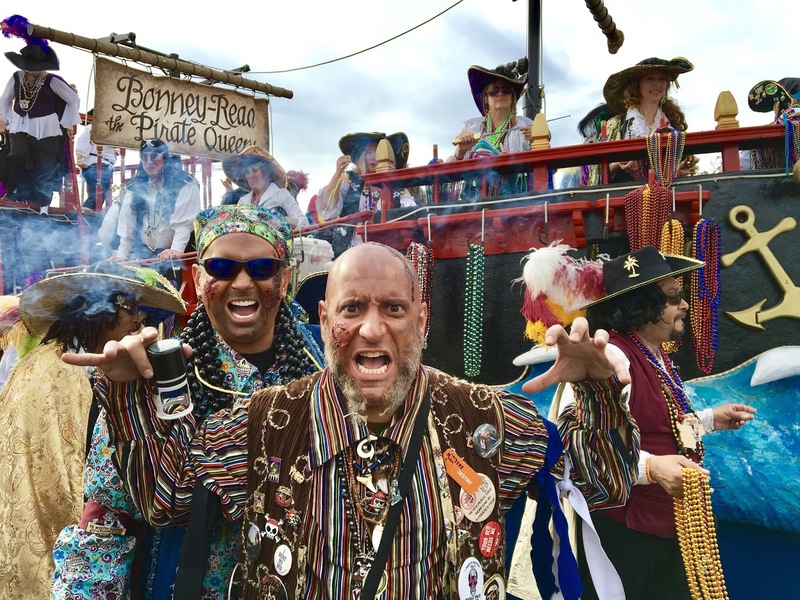 A portion of the proceeds raised from the dinner will benefit the Ye Mystic Krewe of Gasparilla Community Fund, which was established to benefit the community in times of need. We take both our community and our pirates seriously here in Tampa. 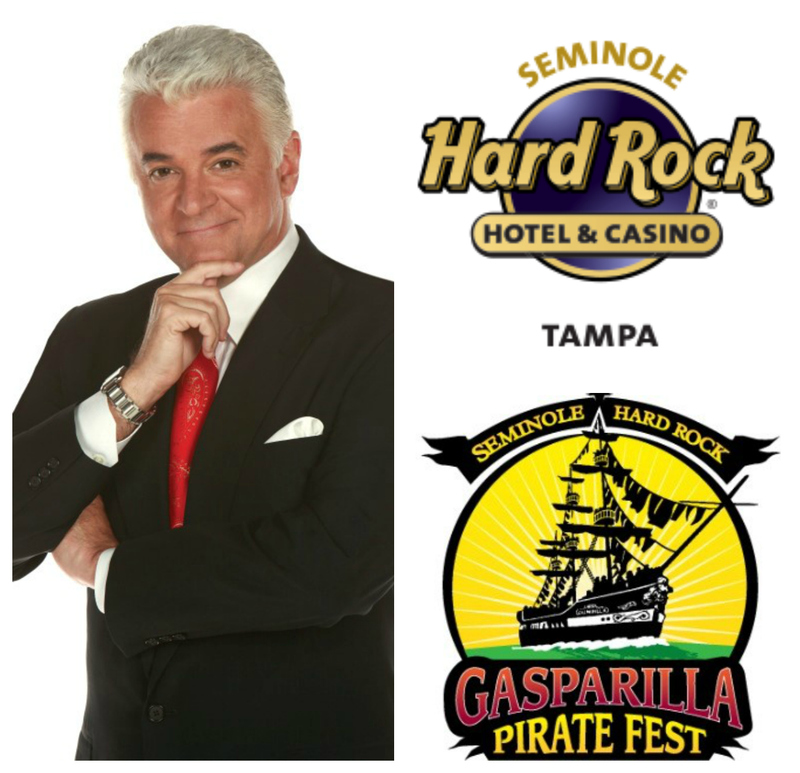 Seminole Hard Rock Tampa is in the midst of a three-year run as title sponsor of the Gasparilla Pirate Fest, which is scheduled for January 28, 2017. 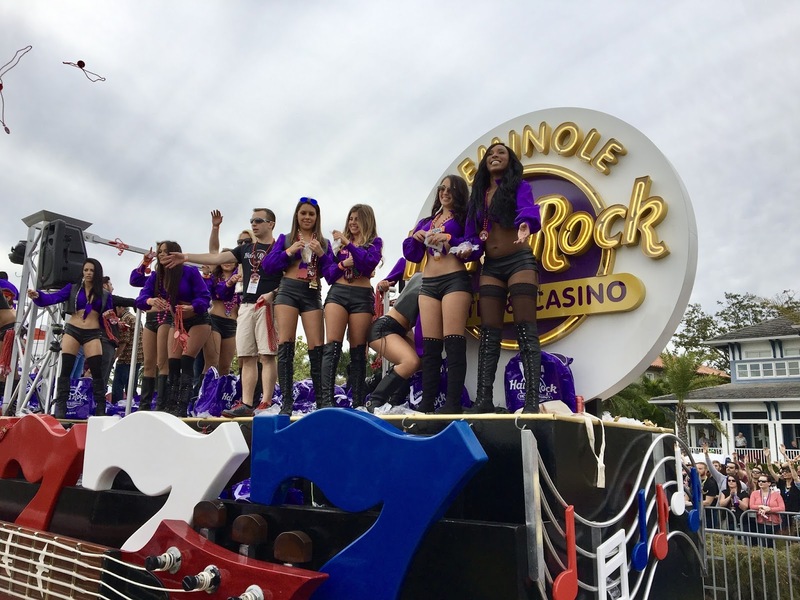 The event will feature the Gasparilla Invasion and Parade of the Pirates, presented by Ye Mystic Krewe of Gasparilla, as well as the Gasparilla Pirate Fest Street Festival. The photo above was their float in 2016.